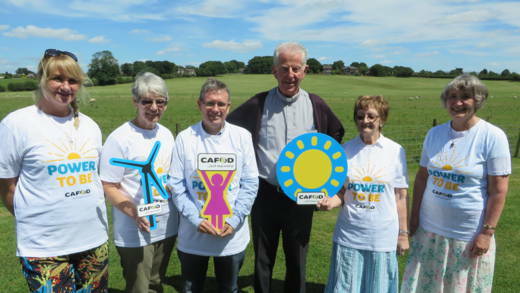 CAFOD volunteers attending a Power to be event with speaker Father Peter Hughes in Wrightington, Wigan. Speaking out for justice makes a difference and campaigning can be a powerful way to do it. Whether its lobbying your MP or signing up for our monthly campaigning emails – Action News – you will have an opportunity to confront justice head on. 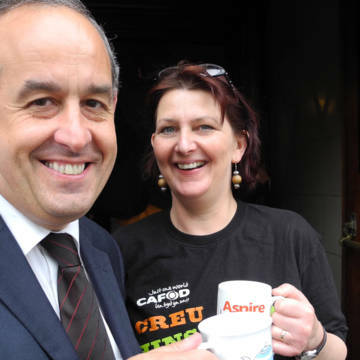 Be the first to hear about the latest CAFOD campaigns. Find out how you can take action, tackle injustice and stand with the world’s poorest. Our MPs are there to represent our concerns in parliament and in our constituencies, but speaking to them can seem daunting or difficult. Our MP Correspondent scheme gives you the opportunity to strengthen your relationship with your MP. Our MP Correspondents are essential to our work. As an MP Correspondent you will write three to four times a year to your MP to call for action on issues affecting disadvantaged and marginalised communities around the world. Once a year, to strengthen your relationship with your MP, we will invite you to a reception in Parliament. This reception gives you the opportunity to talk directly with your MP. Action News - our monthly campaigning emails - will give you one on the spot action so you can tackle injustice there and then: a petition, a template to write to your MP, or further information on a key campaign. Campaigners get first notice when a big national campaign is coming up. We’ll send you resources to plan getting your parish or community together to make a bigger impact. Our new climate campaign, Our Common Home, is providing resources to run a Creation Celebration, keep checking the website for more details. Campaigning works and it can be for everyone, however much or little time you have.